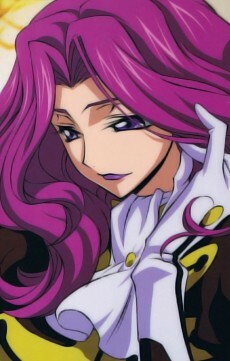 Cornelia is the second princess of the Britannia Imperial Family and, as such, Lelouch's half-sister. She is extremely skilled in Knightmare Frame combat and completed the establishment of Area 18 shortly before arriving in Area 11. Cornelia is the Chief General of the Imperial Army. ​She pilots a customized Gloucester Knightmare Frame and has her own circle of devoted officers. As a child, she appeared to have doted upon her younger sister Euphemia; as a result, Euphemia is Cornelia's only known weak spot.